When things don’t improve after elbow surgery, arthritis may be one potential complication. Surgery is often preformed after elbow trauma, and surgery imparts more trauma to the elbow region which may further accelerate arthritis development. Minimizing further elbow joint trauma, continued repetitive joint stress or biomechanical overload may help prevent further elbow arthritis development. Regenerative Medicine therapies may address chronic elbow pain and dysfunction, by utilizing tissue repair and regeneration models of repair to alter the degenerative pathway. Biologic agents, Platelet Rich Plasma (PRP), Stem Cell Therapy, Scaffolds, and even gene therapy has been investigated as repair mechanisms. 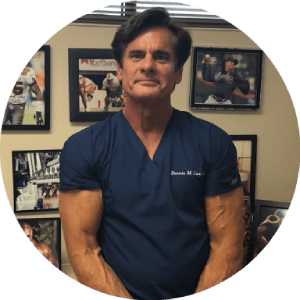 The rationale is by eliminating further elbow trauma and repairing tissue by a regenerative therapy such as Platelet Rich Plasma (PRP) or Stem Cell Therapy, an alternative option to the paradigm that all tissues will progressively deteriorate may be offered. Another factor, where one joint is affected, there may be an additional effect on another joint on then same arm, or may occur on the opposite arm. Understanding this from both a rehabilitation and preventative standpoint may help prevent more arthritis or debility. Regenerative therapies may hold great promise in the early detection of arthritis, treatment, and prevention. The role of Biologics, Platelet Rich Plasma (PRP), Stem Cell Therapy, and the use of bio-scaffolds may provide great opportunities to heal complex elbow problems, and reduce long term complications of arthritis from developing.